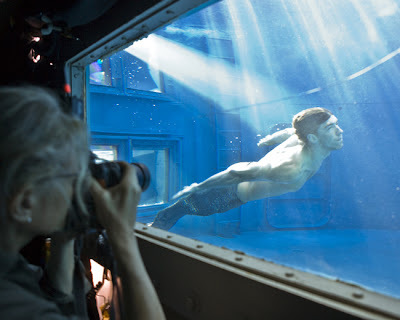 Michael Phelps swimming as a merman. Julianne Moore going over the photo shoot with Annie Leibovitz. Thanks for coming to see these great behind the scenes photos. Return to the original story on The Disney Blog.